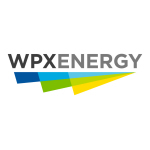 TULSA, Okla.–(BUSINESS WIRE)–WPX Energy’s (NYSE: WPX) board of directors has approved a quarterly dividend of $0.78125 per share to holders of the company’s 6.25 percent Series A Mandatory Convertible Preferred Stock. The dividend is payable on May 2, 2016, to holders of record of the company’s preferred stock at the close of business on April 15, 2016. WPX is an oil-focused energy company with operations in the Permian’s Delaware Basin, the Williston Basin and the San Juan Basin. The company reshaped its holdings through more than $5 billion of transactions and posted double-digit oil volume growth in each of the past four years.